To get name and address of this listing - Select Golden Button to Left "Sign NDA." Asset sale Price on Operating Sandwich store in Sacramento with Good Reviews! Good for Owner Operator or additional location. Currently a family run operation...seller has career educational opportunity and needs to to sell. Located in a retail strip center ...city of Sacramento on a busy major road. Setup as Counter Service, this restaurant has everything you need to continue as is and build sales or convert to your Concept or Franchise. The interior is very clean Modern with durable attractive flooring, dining tables and chairs for 24 with flat screen TV. The current menu offers many Hot & Cold Sandwiches, Hamburgers, Hot dogs, Hot & Cold sides, drinks and More! 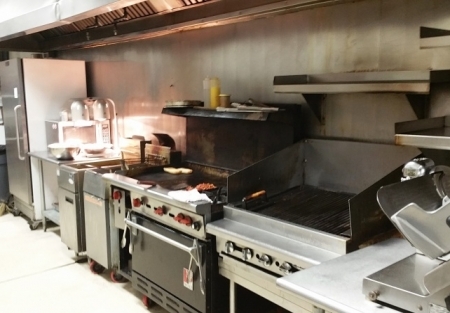 Kitchen has Large Ansul Hood system, Char Broiler, Flat top range oven combo,2 fryers, reach in Cooler & Freezer, prep tables, ice machine, slicer, steam table, and much more. Cheap Rent: $2,030 all in for 950 sq.ft. Nice Website & Facebook are in place! Good Potential to market to the surrounding area and businesses. Go by as a customer... register & agree to NDA online and you'll be impressed once you see the interior. Owner only recently took over and has to pursue a recent educational opportunity in a different field. Limited financials due to new ownership and as this is an asset sale, financials are not available for this transaction. Expenses to operate available with an offer. Make your offer Soon as this will go fast at this price!